APRIL 27, 2019, KANE CENTER, STUART, FL.  Southeast Bunfest is a one day event dedicated to Rabbits and Guinea Pigs and the people that love them, hosted by the Humane Society of the Treasure Coast. The purpose behind ‘Bunfest’ is to raise awareness and educate the public on proper critter care. Bunfest is a great event for critter owners, animal enthusiasts or even family considering to adopt a rabbit or guinea pig.